Hello there, and thank you for visiting me today, I hope you're having a lovely weekend. I know quite a few folks are doing Craft Fairs today, myself included, so I wish you all success and Happy Selling today. We all put such a lot of time and effort into preparing for these events, so I hope they go well. 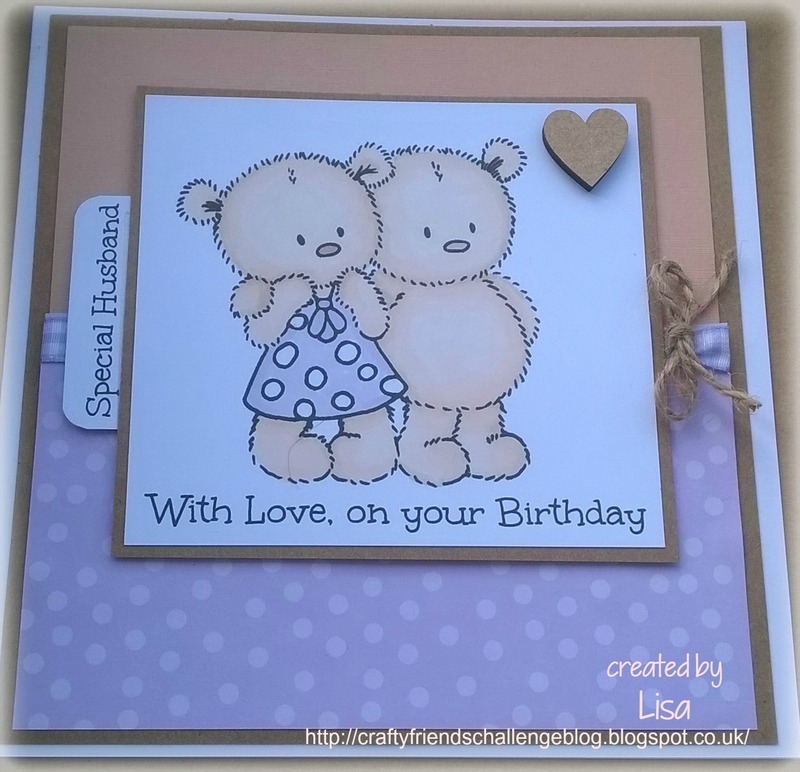 I thought this was a lovely theme and it provided me with the opportunity to make my hubby's birthday card. so there is lots to play for and some fantastic DT cards to inspire, so hop on over and join in the fun! What an adorable card for your hubby! Lovely image (you think you and hubby look like teddy bears?! :D) with your always wonderful colouring. I love the font you've used for the sentiments. Awww such a sweet image and I love the soft colours too. 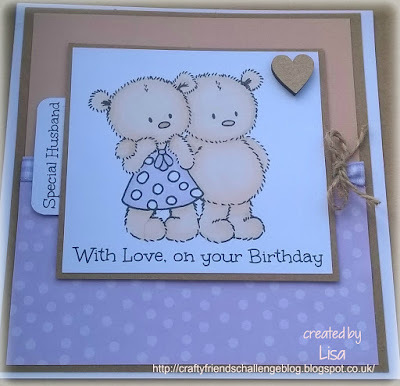 This is an adorable card Lisa, such a cute image. I hope your craft fair went well.